Over 100 more popular channels than the Directv Family package deals. Save $29 a month for 12 months. Reg. price: $55.99/month. Over 50 more channels than the CHOICE Directv package.Save $29 a month until 2011. Reg. price: $61.99/month. NEW package with 15 more channels than Choice Extra containing CBS College Sports 11 more movie. Save $29 a month until 2012. Reg. price: $66.99/month. 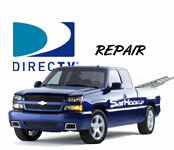 Explore all Directv has to offer with SatHookup's custom sales, installation, and repair services below. Get Directv online through SatHookup and get a HD DVR and HD receiver your Direct TV service for 12 months for a total of $60 in savings over anyone else!